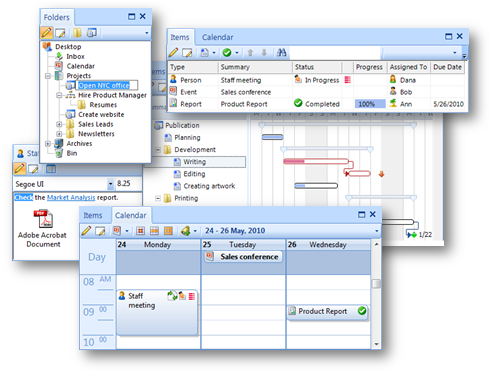 Quickly outline projects and edit tasks in place (no extra windows). Reorganize projects and tasks easily when your needs change. Employ powerful task filters, searches and reminders. Have your team manage projects and update tasks from their PC's. $75 for a single PC with volume discounts available. Improve your personal and team productivity by using the GTD system within TaskMerlin. Store your data in the cloud or office data server. Sync your events and tasks on your smart phone or tablet via Google Calendar and Google Tasks. Collaborate with your team on projects and share and update information with others. "TaskMerlin is a program that offers a lot of project management power."